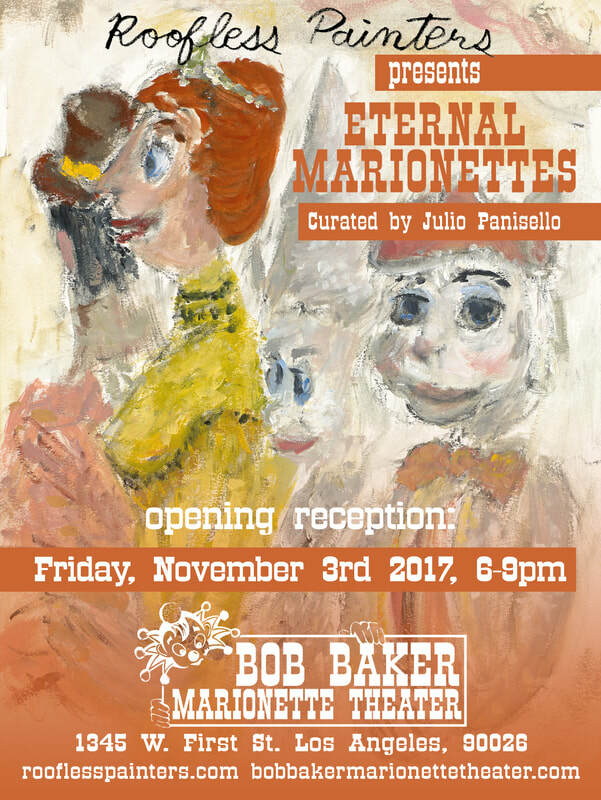 ETERNAL MARIONETTES is a group exhibition curated by Julio Panisello. It features oil paintings created during three still life sessions using a selection of marionettes from the Bob Baker Marionette Theater and hosted by Roofless Painters. Featuring paintings by Winona Bechtle, Sarah Broshar, Alex Evans, Sarah Jennings, Ruthie Leah, John G. Lundberg, Chloé Nelson, Julio Panisello, Charlotte Tarantola, Jennifer Wheelock, Aubrey Wood, and Mary Worthington. Bob Baker founded the Marionette Theater in 1963. It is the oldest children's theater company in Los Angeles. 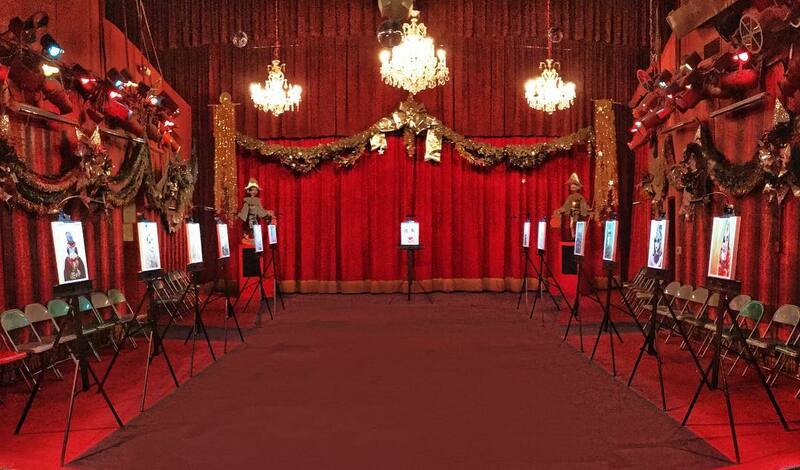 The theater is home to over 2,000 hand-crafted marionettes, each one of them created using a complex and imaginative design process resulting in a unique and one-of-a-kind piece of art. Roofless Painters believes in providing opportunities to artists that don’t have a space to paint, the materials to do it, or the encouragement it takes to be engaged in a creative process.